Jeff Cannata delivers the newest info, latest releases & best stuff in Video Games. Everything from Nintendo, XBox, Playstation and VR, Newest Latest Best is the everyday podcast fix for the avid gamer. Jeff bids a fond farewell to NLB on Anchor and plays more of your Top 5 games lists. Jeff answers listener questions about the Vive, Xbox One X, and Sony. Jeff runs down all the big releases in video games this week. Jeff runs down the top 5 games of all time lists sent in by listeners of the show. A new trailer and details about Kingdom Hearts 3 hits the web, and Jeff becomes a cybernetic ninja in Sairento. New details about the upcoming Metro Exodus, and Jeff plays Subnautica. E3 public tickets sale date announced. Has the Metroid Prime 4 developer been discovered? The Surge 2 announced. Fear the Wolves announced. First details surface for Red Dead Redemption 2, Xbox One PUBG bundle, more Crash Bandicoot games. Jeff runs down the biggest video games releasing this week. Another Sunday brings another set of Top 5 Games of All Time lists as submitted by listeners like you! Jeff spend an entire episode telling you why you should keep an eye out for the upcoming game, Children of Morta. Far Cry 5 announces its season pass content, Kaz Hirai steps down at Sony, and Jeff talks about defeating an Anjanath in Monster Hunter World. Nintendo announces details about their long awaited online service for Switch, as well as a new mobile game and a Mario movie. And Red Dead Redemption 2 gets an official release date. The new World of Warcraft expansion goes up for preorder, EA’s earnings call reveals info about Anthem, Battlefield, and Star Wars Games, and PUBG makes a whole lot of money. Is Microsoft planning to acquire EA? What does the Game Pass announcement mean for retailers? Monster Hunter Workd ships 5 million units. Jeff runs down the biggest new game releases this week, and discusses his initial hours playing Monster Hunter World. The Sunday tradition continues as Jeff runs down more listener Top 5 Games of All Time lists. Epic shuts down Paragon, and Jeff discusses his time with Iconoclasts and Shadow of the Colossus remake. Destiny 2’s first big patch of 2018 announced, Xbox Game Pass continues to impress, Dead Cells gets a console release, and one of the rarest WiiU games is coming to Switch. Anthem is delayed, a new Dragon Age is coming, and some interesting data from developers. The new Blizzard World event his Overwatch, Game Pass includes PC games, Ghost Recon gets Loot Boxes, and more Labo talk. God of War gets a release date, Microsoft adds new games to Xbox Game Pass, Minecraft marks insane sales numbers, and Rust finally leaves early access. Jeff runs down the big video game releases for the week, and gets excited for a No One Lives Forever VR mid, and Beatsaber. Jeff Sunday tradition continues, as he talks about Top 5 games lists submitted from listeners like you. Jeff stayed up way past his bedtime hooked on Slay the Spire, and more listener feedback about Nintendo Labo, including a correction. Jeff answers some calls about the big Nintendo Labo announcement. Nintendo’s new way for kids to interact with Switch is a bold innovative idea, a new game based on the Aliens is in development, and the Overwatch League debuted to great ratings. What’s Nintendo’s latest tease? Is there a new Fable game coming? Will the Xbox Elite controller get an upgrade? Plus, Jeff enjoys the trippy new exploration game, Innerspace. The Scribblenauts franchise is coming back, Cyberpunk 2077 may be at E3 2018, and Final Fantasy XV is getting a new bundled release on PC and console. Jeff runs down the new games coming out this week and answers a viewer question about the dream lineup from Nintendo for Switch. Jeff returns to the Sunday tradition of looking at lists of Top 5 Games from listeners like you. The D.I.C.E. Awards Nominations announced, and released dates in March for the retro Xbox Duke controller and Assassin’s Creed Rogue remaster. Jeff discusses what he think is so special about the early access MMO made entirely for VR, called OrbusVR. Jeff runs down This morning’s new Nintendo Direct Mini with all its exciting Nintendo Switch announcements, including Dark Souls Remastered! Jeff and special guests Peter Sciretta from /Film and Reza Lackey from Caffeine.tv discuss their experience in The Void location VR experience with the new Star Wars Secrets of the Empire live from Disneyland. Jeff discusses 2 excellent iPad games he’s been playing, Goragoa and Civilization VI, and answers a call in about digital goods. Jeff discusses an HD Remaster of Burnout Paradise, more Battle Royale modes in games, and PSN’s most downloaded games of 2017. A Naughty Dog creative director moves to an Aveners game, MS offers refunds, Switch is the best selling US console ever, and PC players have to wait for Monster Hunter World. Jeff interviews Bruno Sautter from Serious Poulp about 7th Continent, the game that ranked as Jeff’s favorite Board Game of 2017. Jeff gets called to the carpet for not naming his top board games of 2017, so here they are! More great lists of top games of 2017 as submitted by you! On this the last day of 2017, Jeff discusses more of your favorites from the year. Jeff looks at more of the top games of 2017 as submitted by you! The march to the end of the year continues as Jeff talks through more top games of 2017 as submitted by you! 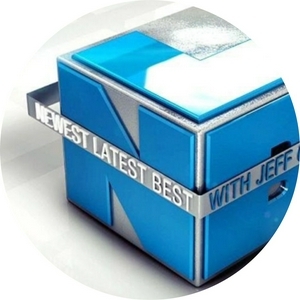 You’ve been sending in lists of your top games of the year and Jeff is listening! Check out more eclectic lists of the best games of 2017. Jeff continues to discuss your favorite games of 2017, including some dark horse picks. Jeff continues to discuss your favorite games of 2017. Jeff continues looking at the top games of the year, as suggested by YOU. Jeff discusses the Top games of 2017 as submitted by listeners like you! Apple introduces new guidelines in the App Store for using Loot Boxes, and Valve reveals the wonderfully eclectic Steam Awards nominees. PUBG goes 1.0, Witcher gets 4K, Blizzard revs up a new project, and Assassins Creed:Origins gets Final Fantasy. Listeners call in with their Top 3 Games of 2017, including hidden gems! Jeff runs down the notable video game releases for the week, and discusses Team Ninja’s teases announcement. Jeff runs through some Top 5 Games of All Time Lists dent in by listeners. Jeff discusses the latest big changes to his favorite game, Heroes of The a Storm. Will Team Ninja be announcing Dead or Alive 6? Fortnite adds a Battle Pass to its Season 2, and PlayerUnknown speaks out about copyright. Ghost Recon Wildlands gets Predator, Ni No Kuni 2 is delayed, PUBG has problems on Xbox, and fishing in video games. Jeff discusses the latest Destiny 2 outrage, Switch’s big sales, Assassin’s Creeds Origins’ new patch, and a rumor about the next Battlefield game. Jeff runs down the new games this week, and talks about Street Fighter 30th Anniversary Edition. Jeff discusses the Too 5 Games of All Time lists sent in by listeners of the show. Jeff is live at PlayStation Experience in Anaheim with hands on reports of The Last Guardian VR, Wipeout VR, Firewall, Shadow if the Colossus, and The Gardens Between. The Game Awards came through with tons of new trailer and announcements. Jeff runs through all of the bright spots from the show. A new Tomb Raider game coming in 2018? Far Cry 5 and The Crew 2 get delays. Beyond Good & Evil 2 still in production, and more. A new portal game has been announced, but it might not be the game you were hoping for. Plus, Jeff plays Doom VFR. Did God of War’s release date leak? What’s this new Five Nights at Freddy’s game? Does the Division 1.8 revitalize the game? What are the details of Street Fighter 5’s Arcade Mode update? Jeff discusses Top 5 Games of All Time lists sent in by listeners. Jeff rounds up some rumors, including Super Mario Cereal, a rerelease of Assassin’s Creed Rogue, and Remedy’s next project. Plus, a look at VR’s healthy sales numbers. Jeff runs through the new releases of the week, and discusses Skyrim VR on PSVR. Jeff examines Top 5 Games of All Tims lists sent in by listeners. Destiny 2 has its own loot box related controversy, and listeners recommend their favorite mobile games. Jeff answers some listener questions about Uncharted Lost Legacy’s lack of Game Awards Nominations, the interfaces on Xbox vs PlayStation, and the similarity among games. Jeff runs down all of the best Black Friday deals in gaming to prep you for tomorrow! Loot boxes are now the target of lawmakers, and Jeff highlights more board games from his trip to BGG Con. Jeff talks about some games he played at BGG Con that might be perfect for your Thanksgiving gatherings. Plus, a listener reports on PAX Unplugged. Jeff runs down the new games coming out this week, and discusses Valkyria Chronicles 4 announcement, new Minecraft announcements, and more. Jeff explores the Too 5 Games of All Time Lists went in by listeners. Jeff is live at Board Game Geek Con 2017 talking about some of the great tabletop games he’s been playing, including Meeple Circus and Downforce. The Star Wars Battlefront 2 road to release stayed crazy even hours before its debut. Jeff runs down the Latest. Jeff is giving away 2 tickets to PAX Unplugged this weekend! Listen to find out how! Also, news about how much time and money Star Wars Battlefront 2 may cost, EA’s upcoming new franchise, and The end of Marvel Heroes. Rumor has it the same production company responsible for Despicable Me and Minions may be working on a Super Mario Bros movie, and a listeners has some questions for Jeff. Jeff runs down the just announced nominees of the 2017 Game Awards. Jeff runs down the new game releases for the week, and follows the crazy Star Wars Battlefront 2 in game pricing roller coaster. Jeff runs through Top 5 Games of All Time lists sent in by listeners! Injustice 2 adds awesome new DLC characters, EA considers a subscription model, and a caller touts the price point of Hand of Fate 2. Jeff answers some call ins about the Xbox One X vs a PC, Assassin’s Creed vs Horizon Zero Dawn, and games with throwback controls. Jeff gives his impressions of the Xbox One X, and discusses the incredible sales of GTA V, and Ubisoft games. Microsoft teases a streaming service, Skyrim gets a PSVT bundle, PlayStation Trophies get you rewards, Watch Dogs is free, and Jeff plays Horizon: Zero Dawn’s expansion, The Frozen Wilds. Jeff runs down another huge week of new video game releases. Jeff discusses more Top 5 Games of All Time Lists sent in by you! Live from Blizzcon 2017, Jeff sits down with designers from Heroes of the Storm to dig into the nitty gritty about what's changing in his favorite game. Jeff is Live at Blizzcon 2017 with all of the huge game announcements for Wow, Overwatch, Hearthstone, Starcraft, and Heroes of the Storm. Jeff is still really enjoying Assassin's Creed Origins, and a listener is reminded of an older game. EA has outlined changes to the way progression and loot crates will be handled in Star Wars Battlefront 2 following blowback from the beta, and where's Sony no-show from Paris Games Week, Dreams? Mario Odyssey sells 2 million in 4 days, CCP ends production in VR games, Doom VFR adds Aim support, and an unexpected Oct 27th game from a listener. Jeff runs down the new games for the week, and details a jam packed slate of announcements from Sony at the Paris Games Week show. Jeff dives into more Top 5 Games of all time lists submitted by listeners. Jeff discusses playing Super Mario Odyssey but in and out of co-op, and some listeners describe their Oct 27 buying decisions. Is today the biggest single date for video game releases ever? Plus Pandemic Legacy season 2 and a game Jeff missed. Jeff has been playing Assassin's Creed: Origins and give his impressions so far. Nintendo announces new Animal Crossing mobile game for this year, Microsoft stood production of the Kinect, Metal Gear Survive gets a release date, Shadow of War's expansions get detailed. The Switch supports GameCube controllers, Original Xbox backwards compatibility on Xbox One begins, Dragonball Fighter Z gets a release date, and Levi Dimensions ends. NeoGAF shuts down amidst controversy, and Jeff discusses more listener Top 5 Games of All Time. Big announcement about Destiny 2 seasons, and Jeff answers a question about his approach to VR games. Jeff has played 3 recent VR releases, Megaton Rainfall in PSVR, Arktika 1 on Oculus, and The Gallery Episode 2: Heart of the Emberstone on Vive. The cancellation of Star Wars from Visceral and what it means for single player games sparks a fantastic discussion from listeners. EA makes the surprising move to cancel Amy Hennig's Star Wars game and close Visceral Games. Jeff runs down a big week of game releases, and discusses Doom on Switch and Switch availability. More listeners call in with their Top 5 Games of All Time lists. Jeff interviews board game designer Ted Alspach of Bezier Games. Jeff discusses the scourge of loot boxes in video games, as listeners call in with their concerns. Oculus Connect features big updates in hardware and software for the VR platform, as well as a major new game. Plus, Star Wars Secret of the Empire is the new Void experience at Disney Parks. Jeff got hands-on with new content from Mario Odyssey and came away with a very different impression than when he played it at E3. A spiritual successor to Star Control II announced, 2017 releases ramp up through December, and what do you think of loot boxes in your games? Jeff runs down the all the new releases this week, and Checks in with the probability of getting a Nintendo Switch this holiday season. Jeff discusses the Top 5 Games of All Time lists from 3 different listeners. Lots of interesting games! Jeff's plays a truly incredible board game: The 7th Continent. Jeff remembers Road Rage on 3DO as he plays the new Road Redemption on Steam, and callers discuss the Too Many Games problem. Jeff gives his impression of the SNES Classic Edition and discusses a new announced edition of Street a Fighter V. Plus a caller weighs in on Forza 7. Microsoft announces details about the Mixed Reality headset lines, along with a new Halo experience, and Jeff describes playing From Other Suns. Jeff learns about Suikoden, and raves about Battle Chasers: Night War. Jeff runs down all the new games coming out this week, and discusses the new version of PSVR, Nioh arriving on PC, and Darkest Dungeon coming to Switch. Jeff can't figure out why more people aren't talking about Hob, and highlights another listener's Top 5 Games of All Time. Jeff talks about Voltron VR Chronicles, and discusses a listeners Top 5 Games of All Time. The SNES Classic releases today and callers have boots on the ground, in the trenches, grabbing them. Plus, calls about having too much good stuff to play. Jeff goes hands on once again with Wolfenstein 2: The New Colossus before it launches, and is excited by today's new Star Wars Battlefront 2 trailer. Jeff runs down all of the big game releases this week and ends with a positive message from a listener. Jeff answers some call ins about co-op in Borderlands, using voice recognition to combat toxic gamers, and one listener's Top 5 games of all time. Jeff talks about playing Divinity:Original Sin 2 in co-op, and answers some questions about couch co-op, and addressing toxicity in games. Jeff gets hands-on with DOOM on Nintendo Switch, the old original Xbox controller is coming back, and more audience discussion of toxic behavior in PUBG. Blizzard updates Overwatch on Xbox One to mute abusive players, and Steam adds a histogram to user reviews. Then, Jeff answers questions about Divinity Original Sin 2's story. Jeff runs down all of the big announcements from Sony's pre-Tokyo Game Show press conference, and answers a call in about yesterday's Fortnite cross-play news. Jeff runs down all the big game releases for the week, makes a correction from last week, and discusses the brief moment when Fortnite supported cross platform play. Bethesda threw a big hands-on event and Jeff reports his experience with Skyrim on Switch, and Fallout 4, Skyrim, and Doom in VR. Bruce Straley leaves Naughty Dog, and Jeff answers questions about sequels iterating on games, and listeners Too 5 games of all time. Nintendo announces the return of the NES Classic, Okami will be remastered again, no more Batman Arkhangelsk games? And Apple announces a new title from a great developer, and AR games. Jeff runs down a HUGE week of new game releases, discusses Nintendo's plans to have available hardware to buy this holiday season, and anticipates Atomega. Jeff answers questions about Madden 18, and essential board games to get into the hobby. Jeff's Destiny 2 rant about Story and Lore prompted some fantastic responses, so today Jeff continues the discussion with listener call-ins. Jeff rants about Destiny 2 and it's version of narrative storytelling. Life is not story! Do you agree? The LA Noire remaster is a reality, South Park The Fractured But Whole adds a brilliant, subversive difficulty setting, and Jeff gives his first impressions of Destiny 2. Destiny 2 launches in PS4 and Xbox One today! PUBG hits 10 million sold, and Jeff has 2 more interviews from PAX West, for Pikuniku and Dunk Lords. More of Jeff's indie developer interviews from PAX West - this time for UFO 50, Way of the Passive Fist, and Moonlighter. Jeff runs down the big game releases for this week, and has 2 interviews from PAX West in Seattle, for Survived By and Nine Parchments. Jeff has been scouring the show floor of PAX Prime 2017, searching for the very best games you haven't heard about: Griftlands, Hot Lava, Fort Triumph, Children of Morta, and Tiny Bubbles. Jeff interviews Joel Bylos, the creative director of Conan Exiles about the game, early access, and game design, in a special, longer episode. Bungle offers support for Houston floods, listener top 5 of all time, and Jeff reviews Last Day of June. Special correspondent Raj Deut sits down with Tommy Bjork, narrative designer on Wolfenstein 2: The New Colossus at Gamescom. Nintendo had a new Nintendo Direct this morning announcing a huge new crop of Indie titles for Switch. Jeff runs down every game. Microsoft announces new Mixed Reality headsets, PSVR gets a price drop, Xbox One is discontinued, will companies allow cross-play? And Nintendo announces new Nindies event. A plot for what would have been Half-Life episode 3 surfaces, and Jeff finally is pinned down for his Top 5 video games of all time. Secret of Mana remaster announced, Xbox One X preorders sell well - what die shat mean for the system, and a call in about Injustice 2's DLC roster. Jeff discusses two games he's playing pre-release, Dauntless and Metronomicon: Slay the Dancefloor. The Crew 2 gets a release date, Gwent gets a single player story mode, Mario + Rabbids gets a season pass, Bethesda's VR slate gets release dates, and Injustice 2 gets 3 more characters. We Happy Few gets a full release date, Namco teases Projekt#1514, Okami might get another rerelease, and EVE Valkyrie will be playable out of VR. Jeff discuss the new games releasing this week, and answers a call in about cramming in the very best VR experiences. Jeff ran into a game killing glitch in Hellblade: Senua's Sacrifice, and answers some call ins about Elder Scrolls Legends, his perfect RPG, and other shows he makes. Special report on Mario Kart VR in Japan! We get details about the big No Man's Sky update, the NBA Live 18 demo goes live, Microsoft considers new gamerscore changes, and calls about under appreciated games and the Fallout board game. Fallout 4 gets a Game of the Year Edition, and Jeff plays Rez Infinite on Oculus and Fictorum on Steam. Valve announces a DOTA digital card game, Overwatch kicks off its summer event, Rez Infinite arrives on Oculus and Vive, and No Man's Sky's anniversary update promises big things. Spelunky creators new project is crazy, Dragon Quest Builders 2 is happening, Samus fancies up a New 3DS XL, and Fantasy Flight Games is bringing Fallout to the tabletop. Jeff does his Sunday call in round up, answering questions about loot chests in games, value in digital purchases, and games that are more fun than they are good. Shadow of War gets loot chests, Steam is booming, and Jeff is hopeful about the all-digital distribution future. Crash Bandicoot N Sane Trilogy exceeds expectations and may lead to more classic revivals, Star Wars gets a VR attraction, and Jeff has more thoughts on Fortnite. Tacoma is released today, and Jeff brings his DLC cohost Christian Spicer to the show to review the game together. Spoilers at the end of the episode. It's Jeff's birthday so he's talking about his latest VR obsession: Dino Frontier on PSVR. Jeff runs down all the interesting video game releases for the week ahead, and answers a call in question about Pokémon Go Fest. Jeff has been playing Warframe and it made him think about evolving games, and some listeners debate the Nintendo question. Plus some app suggestions! Dragon Quest 11 is coming to the West, Destiny 2 beta on PC gets a date, Jeff loves Pyre, and is Nintendo getting a pass on bad design? Jeff gets early hands-on with Wolfenstein 2: The New Colossus, and discusses Games for Change. Nintendo touts great sales for the Switch and reveals a bit of their upcoming roadmap, Final Fantasy XV tests its multiplayer DLC, and how to be environmentally responsible as a gamer. Jeff gets early hands on with Uncharted: The Lost Legacy, and sits down with the game's Director, Kurt Margenau. Jeff runs down the new video game releases for the week, and answers a question about reselling an SNES Classic edition. Jeff goes crazy for Lone Echo on Oculus, but he is backed up by a listener who loves it, too. Jeff has early impressions of the Fortnite Early Access launch, and answers a question about Esports franchises in LoL and Overwatch. The June NPD report has been released and Tekken 7 and Crash Bandicoot are big winners, plus Jeff enjoys Fire Pro Wrestling World, and answers a question about his recording equipment. Is Nintendo readying an N64 Classic edition before the SNES Classic has even been released? Jeff answers a few rapid fire questions, and a listener recommends Onward. Jeff answers some call ins about scale in Marvel Powers United VR, using Star Wars and Ready Player One to popularize VR tech, and gets a very fun Tale of Fail. Jeff runs down an exciting week of new games releases, and takes a look at the just announced winners of the prestigious Spiel des Jahres board game awards. Disney's D23 video game announcements. Kingdom Hearts 3 gets a release year, Spider-Man behind the scenes, Marvel gets a VR game, and Star Wars gets an AR headset! Jeff gets a bunch of great feedback on his discussion of growing older as a gamer, EVO fighting game championships are this weekend, and Jotun is free on Steam. Is Oculus making way for a $200 untethered update in 2018? Is Vive's Deluxe Audio Strap worth it? There is a Mario Kart VR arcade in Japan, PUBG is getting 1st person servers, Ni No Kuni 2 delayed, and a question about growing old playing games. One of Jeff's favorite games if he year arrives on Xbox One, DOTA 2 sets another record, and listeners weigh in on the Sonic the Hedgehog question. Jeff interviews Kelly Wallick from the Inide Games Megabooth. Use code NLB30 to get 30% off tickets to their event in Atlanta his Saturday! Summer Games Dine Quick raises $1.7 million for Doctors Without Borders, the new Hearthstone expansion announced, Fortnite is finally coming, and Jeff talks about old games getting teamsters. The big Splatoon 2 Nintendo Direct, a delay for Player Unknown's Battlegrounds, and a look at why Sonic the Hedgehog doesn't seem to work. Horizon Zero Dawn gets a new game plus update, Shadow of Mordor allows you to bring your characters into War, The Wonderful 101 might be coming back, and Ethnos is a delight on the table! Jeff discusses playing Pathfinders Adventures on Steam, Cuphead's exclusivity, and gets some audience feedback about yesterday's Anthem PS4 shenanigans. Table top time discussion with Reza Lackey and Peter Sciretta about Escape from 100 Million BC. The Xbox One X is bringing naive 4K content to consoles. Jeff answers some call ins and gives his view on the future of gaming. Newest Latest Best for June 30, 2017 • NLB • Starcraft Remastered release date • Time for a call-in • VR questions! • Which VR headset to buy? • Next up... • Palmer Luckey might be an OK guy • Palmer Lucky • Thanks for listening! Things mentioned in today’s show: A HUGE Week for Video Games! • Nintendo Switch has arrived! • Switch performance and... taste? • Should you buy a Switch now? • Welcome to Newest Latest Best • Best Open-World Action Game of All Time? • Game Developer's Conference • Full Body VR interview with Steve Bowler of Cloudgate Studios • Shadow of War • Shadow of War Gameplay Impressions from GDC • Call-ins • Drew Napoli - Producer @ Bethesda • Games as Journey, Zelda v Fallout • On the docket for today.